Echo Park director Amanda Marsalis on making her first film, gentrification, and Ava DuVernay. Anthony Okungbowa and Mamie Gummer in Echo Park. Last fall, Ava DuVernay announced that her independent film distribution company, African American Film Festival Releasing Movement, or AFFRM, would relaunch as Array, expanding more broadly to release films by people of color and women globally. Its latest release, which opened in select cities over the weekend, is Echo Park, an intimate drama helmed by long-time photographer and first-time director Amanda Marsalis. Mamie Gummer (Ricki and the Flash) stars as Sophie, a woman who abandons a boyfriend and privileged, upper-class Los Angeles lifestyle for the more diverse neighborhood of Echo Park, where gentrification is in full force. There, she strikes up a relationship with Alex (Anthony Okungbowa, Mother of George) a long-time resident who’s on his way out, heading back to the U.K. to refocus his life and career. 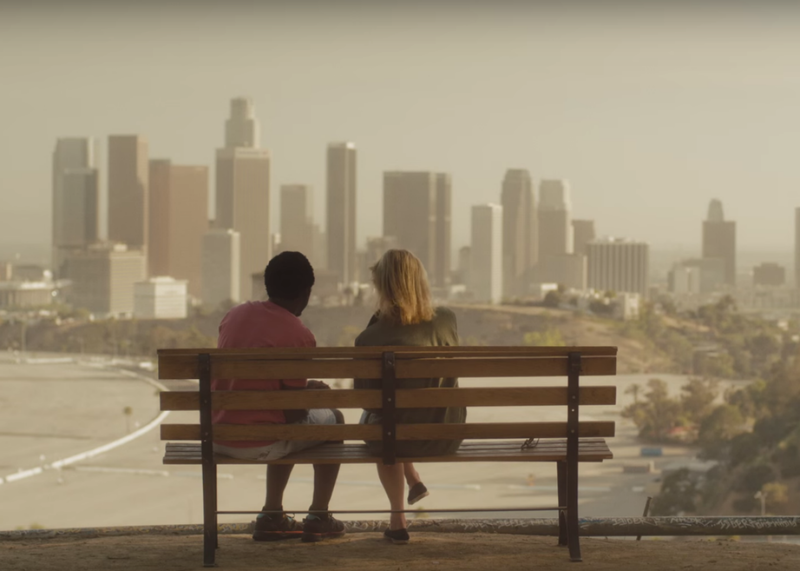 It’s a slow-burn kind of movie, one that is just as interested in developing a very specific, deep sense of place with its L.A. backdrop as it is with layering its rich characters. In the edited and condensed interview below, I spoke with Marsalis about the film and her experiences working with DuVernay and Array. This is your first time as a filmmaker, and I know you have a background in photography. How did this project come about for you? What exactly drew you to this project, specifically? Obviously, you could’ve chosen something different if you eventually wanted to go in a directing route, but I’m curious as to what about [screenwriter] Catalina [Aguilar Mastretta]’s script made you interested in this story? Well, I think when I read it I just really understood that I could tell the characters’ stories in an honest and an intimate way. Like, it was close enough to home that I understood it was something that I could do and I could do well. And did you grow up around Echo Park, or was that something you had to learn about while you were directing? Well, I live in Echo Park. So when they they sent me the script and it was called Echo Park, I was like, “Oh—this is gonna work.” I grew up in the East Bay of San Francisco. But I’ve been in L.A. for 12, 13 years now. One of the big themes of this movie is gentrification. There’s a conversation at the beginning between Alex and his best friend, Mateo, in which he’s lamenting gentrification in Echo Park and how it’s become all hipster-y and less diverse. What are your thoughts on gentrification, in general? Is that something you’ve witnessed in your time of living in Echo Park and how things are transpiring there? It’s something that I’ve witnessed, but it’s also something that I’m part of—I’m in no way [unaware] of that. And it’s definitely something I joke about, that the movie could also be called Williamsburg; it could be called Oakland. This movie could take place in any of these major cities where outer neighborhoods—where, you know, people move to and start pushing people out. But there’s definitely a sort of second wave that’s happening in the neighborhood, and there’s a lot of change, and some of it’s really bad, and some of it’s kind of OK.
You know, it’s nice to have a good restaurant that you like around—as long as, obviously, it’s not also putting out some other restaurant that you love that’s been there for 30 years. [There was a lot of] empty space in Echo Park, in certain ways. I don’t necessarily have strong political views about gentrification, but it’s something that—whether it’s right or wrong or—it’s nice to bring it up and talk about it and see how it affects different people’s lives in different ways. What I found interesting about the film was that Sophie also seems very aware of gentrification. The movie could’ve easily taken the route where she’s leaving her boyfriend and her bourgeois lifestyle and moving to this more hipster and diverse neighborhood in an attempt to “find herself” or to run away from those things. But I think the movie does a good job of making it more than just that, and I wonder if that’s what you hoped to accomplish. Oh, absolutely. Yes, totally. Because the characters are complex people going through complex times in their lives—just like all of us in real life are, all the time. Nothing’s ever easy for anybody I’ve met. And it’s very much— I wanted to make a film that, if I’d watched the film, it looked like my life and my friends’ lives and the people that I love’s lives. Everything doesn’t always work out, and everything is not just, like, black and white, and it’s not just right and wrong—it’s very much full of gray areas. And it’s about your experiences, and different people see the same thing in different ways, you know? You could’ve—I don’t know if I should say this—made a sort of Lifetime “movie of the week.” You could’ve made it super simple and obvious, and that would’ve been untrue. Well, the thing is [that] Alex—Tony’s character—is part of the gentrification, as well. And he’s not a local. All the locals in Echo Park have traditionally been Hispanic. So he’s part of the gentrification. But also I really like that our film has an interracial relationship, but it’s in no way about that. Because I think, in this point in our world, it’s not unusual, and it’s not a big deal, for anybody of different races to be in a relationship together. So we just really wanted to make that not the point of the film, but just something that’s normal. Could you tell me a little more about how Array approached the film and how they got involved in distributing it? Because, if I recall, it premiered at a festival or two in 2014, but it’s only now getting a release. So, Tony [Okungbowa] and Ava have known each other for a long time and were friends. And Array used to be AFFRM, so Array was switching its mandate and expanding it to be female directors and directors of color. So once they expanded, Tony was talking to Ava about where to go with the film, and Ava was like, “Well, we’re expanding to Array, and we would love to take a look at the film,” and then that’s how it came about. Did you face any challenges as a first-time director that you don’t think you would necessarily have faced had you been a man? I do think the main challenge for women directors is to get the job, and I think once they’re given the job, I think that’s where the challenge [ends]. And that’s why Ava’s really amazing—because, by supporting and encouraging female filmmakers, and giving a place for their films to be seen, it’s just … normalizing. Like, in the film, we’re normalizing an interracial relationship, and Ava’s just normalizing that women are directors now.